The king is dead. The hunt is on for the next person that will be seated on the throne. The nobles vying for the spot can't just run in and sit down. They'll need the people's support. There's more than one way to get the people's favor. 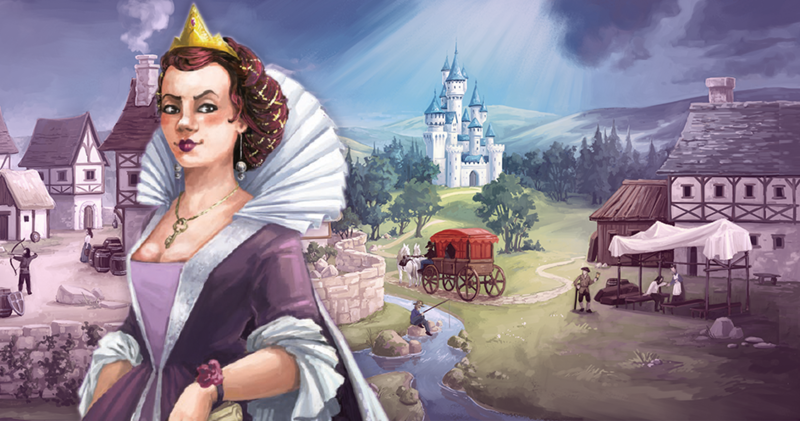 And looking at such options is what you get in this preview for Majesty from Z-Man Games. The throne sits empty. Nobles from across the kingdom are vying to claim it, but this goal cannot be accomplished by one person alone. Whoever seeks the crown must also seek the loyalty of the people. Only with their support can a noble amass the fortune needed to cement their claim. 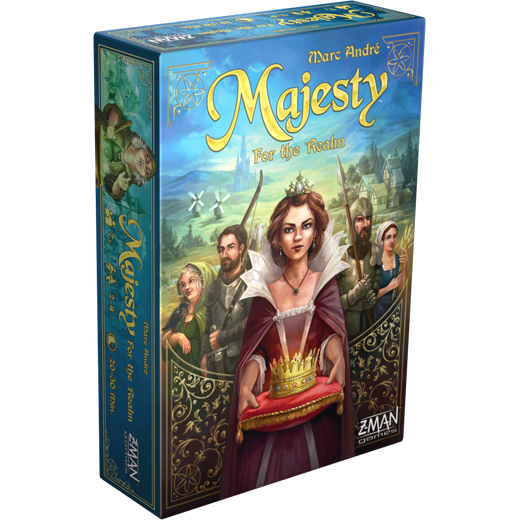 Majesty: For the Realm lets you enter the fray and make your bid for the throne. In our preview, we introduced you to the seven characters and eight locations you will use to build you realm. Today, we’ll be taking a closer look at how these characters and locations function within the game.